Glassware is frequently used for research & development work in laboratories. Most of the solutions etc. are stored and mixed by using glassware. 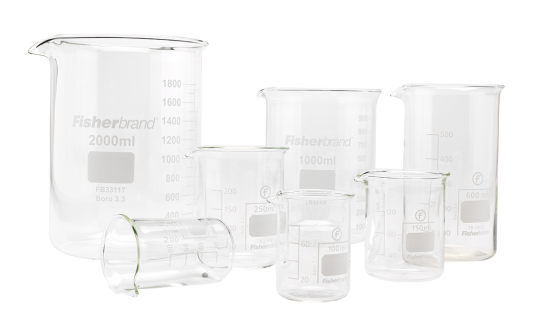 Lab Associates supplies all the necessary glassware that is used in labs. We provide glass beakers and Erlenmeyer flasks for different amounts of solutions that have to be distributed out of the bottle. For measuring the amount of a solution, we can provide measuring flasks and cylinders. 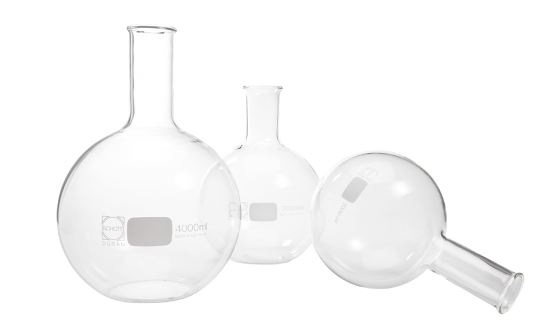 When you need to do distillation, heating or containing a chemical reaction, our flat bottom glass flasks are available. Lastly, we can supply (Duran) bottles with screw cap to store smaller and larger volumes of liquid, e.g. media. 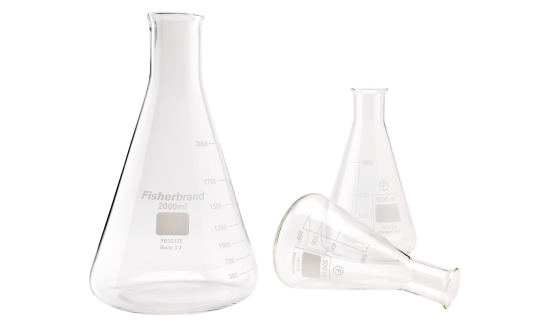 Various sizes of Erlenmeyer flasks are available, such as in 100, 250 and 500 ml or 1, 2 and 4 lt.
Glass beakers are available in various volumes and as low or high model: 10, 50, 100, 150, 250, 300, 600, 1000, 2000 and 4000 ml. Flat bottom flasks are available in various volumes: 100, 250, 500, 1000 and 2000 ml. 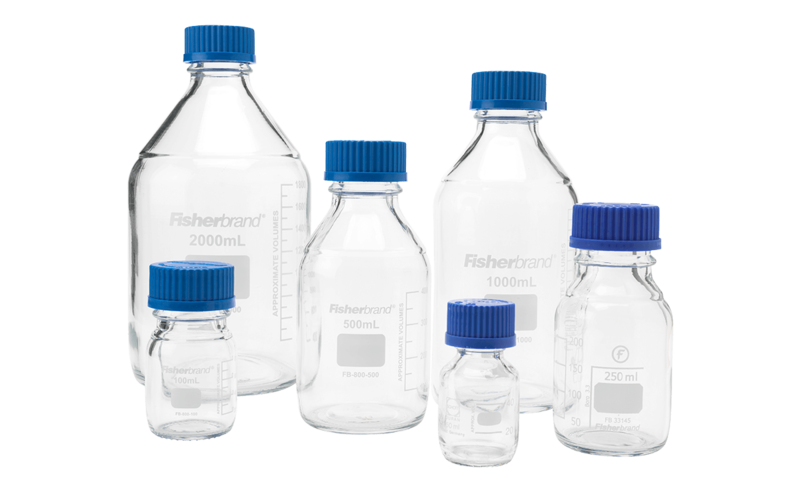 Glass media bottles with screw caps are available in various volumes: 50, 100, 250, 500, 1000 and 2000 ml.